You are always welcome on Audiko.net! 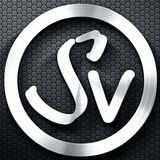 Simply download a free Serj Volynchuk ringtones for your iPhone or mobile. Fix your favorite line from your favorite masterpiece - Epic Motivation Background Music / Royalty Free Audio / Musi, Epic Motivational Background Music / Music Licensing / Royal, Dramatic Epic Motivation Background Music / Music Licensing , or any other track. You may gain your tone both in the MP3 and m4a formats, compatible with both mobile phones and iPhones. Just select a track, and choose free Serj Volynchuk ringtones download option.